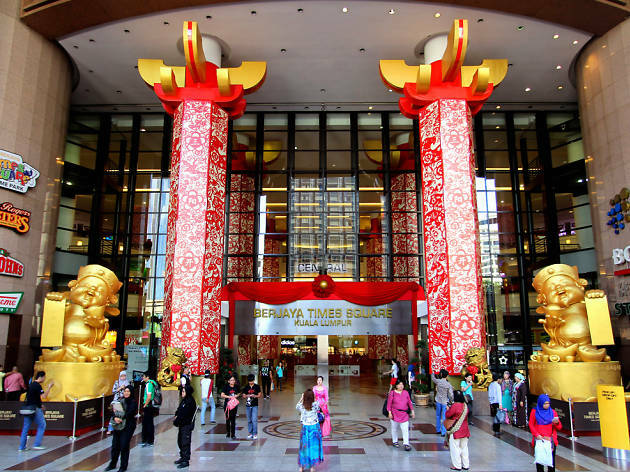 Berjaya Times Square is located at the heart of the city centre. Being within the Golden Triangle right in the heart of the city, residents would definitely enjoy the vast network of transportation. The Hang Tuah LRT station is just several minutes’ walking distance from the property, connecting you via the Kelana Jaya and Ampang-Cheras Line, or you can also opt to walk to the Imbi Monorail station. Jalan Imbi is also well connected with other prime city roads including Jalan Tun Razak, Jalan Pudu, Jalan Bukit Bintang and Jalan Sultan Ismail. You can also utilize the Smart Tunnel to get in and out of sticky traffic situations come peak hour. The residence is also close to several popular tourist hotspots such as Chinatown, Central Market and KL Tower. 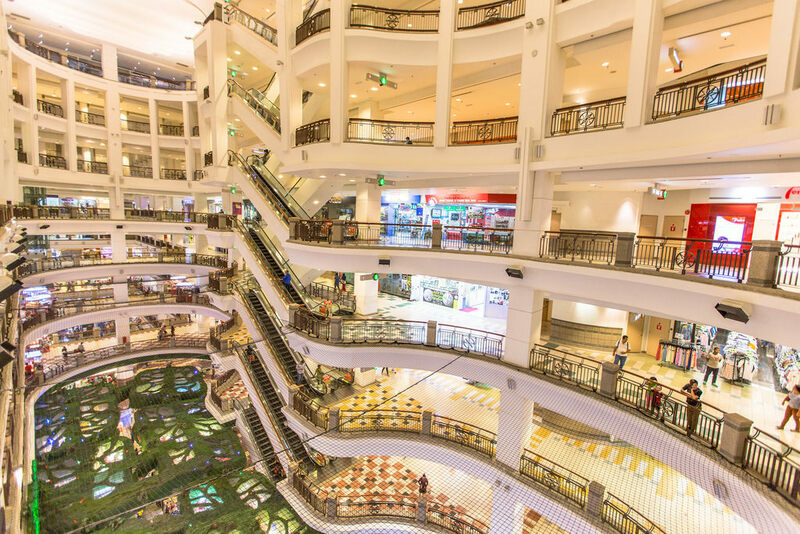 But above all, the Berjaya Times Square mall provides almost everything to cover your basic needs, ranging from a huge selection of cafes and restaurants, salons, retail shops, banks, supermarkets and a multi-screen cinema. Residents staying with their families as well as those who are young at heart may be thrilled to find that the Berjaya Times Square Shopping mall also boasts of their own indoor theme park, complete with roller coaster. Facilities at Berjaya Times Square include a swimming pool, ample covered parking bay (subjected to monthly rental), a gymnasium and a laundromat. There’s also 24-hour security with CCTV surveillance, with each resident unit enjoying their own elevator access card. Analysis: The property was completed in 2003 as the building began its development in 1995. Berjaya Times Square has a reputation for being a shopping paradise for both the locals and foreign tourists as the prices are reasonable and aplenty. The shopping mall opens at 10am and closes at 10pm. Enjoy your stay. That Times Square Residences (TSR) is privately owned and is not part of Berjaya Times Square Hotel KL. Therefore, the Hotel do not provide any services to our Guests. Guests are advised to contact our Customer Service for any assistance. * All rates above are nett. Please inform Times Square Residences At Berjaya Times Square in advance of your expected arrival time. You can use the Contact us form below or call (+60)18-3643573 when booking. A security deposit of MYR 200 is required upon arrival for incidentals. This deposit is fully refundable upon check-out and subject to a damage inspection of the accommodation. "Times Square Residences" means the hotels and service apartments that are owned and/or operated by DMS Asia Dynamics, its subsidiaries, related or associate companies. when you visit our website, there is an automatic collection of information about your computer such as IP address, web browser software and other information about your visit. You are responsible for providing accurate and complete information about yourself and any other person whose personal information you provide us (for e.g., your spouse, children, relatives, nominees, guests or third parties), and as such, as and when such information becomes incorrect or outdated you should correct or update such information by contacting us or submitting fresh information. You confirm that you have the consent or authority to submit Personal Information of your family members, nominees and guests to us. DMSG Asia Dynamics Group is in the business of hospitality, and we own and/or manages hotels, resorts and serviced suites under our two brands “TSR” and “DMSG”. (collectively “DMSG” and each a “DMSG Entity”) at their sole discretion. all other sub-sites, content, information, applications, programmes, images/graphics, links (unless otherwise stated), sounds, videos and materials, which may be displayed in the above webpages/websites; and the functions or services provided therein, (collectively the “Content”). Please note that acceptance of these Terms shall be deemed to be acceptance of the Included Terms and any breach of the Included Terms shall be deemed as a breach of the Terms. In the event that there is any conflict or discrepancy in the main text of these Terms as published hereunder and these Included Terms, the Included Terms shall take prevail and take precedence of the main text of these Terms as published hereunder. you have the ability and authority to (A) agree to the Terms, and (B) enter into any transaction on or through the DMSG and TSR Sites. DMSG and TSR Sites are intended only for access from Malaysia or any other country where the access to and use of the DMSG and TSR Sites are not prohibited by the law of such country. We make no endorsement, warrant and/or representations that your access and use of the DMSG and TSR Sites are in compliance with the laws of the countries which you reside in or are accessing/using the DMSG and TSR Sites from (“User Country”). You have the responsibility of ensuring, and warrant and represent to us that you are in compliance with the laws of the User Country’s laws. Unless otherwise stated and subject to the Terms, DMSG grants you a limited non-exclusive licence to access and make personal use of the DMSG and TSR Sites, but not to download (other than page-caching) or modify it, or any portion of it, except with express written consent of DMSG. This limited non-exclusive licence does not include any resale or commercial use of any DMSG Site or its contents. Any unauthorised use terminates this non-exclusive license granted by DMSG with immediate effect. Notwithstanding the grant of such limited non-exclusive licence to you, all of such intellectual property rights in the Content are retained by DMSG and/or its licensors; and you shall have no interest/right to them. use any DMSG derivatives), logo, or other proprietary information (including without limitation images, text, page layout, or form) of DMSG, without “DMSG Asia Dynamics”, “DMSG”, “TSR Connections” and derivatives) without the express written consent of DMSG. No part of any DMSG Site may be reproduced, duplicated, copied, sold, resold, visited, or otherwise exploited for any commercial purpose, without the express written consent of DMSG. You are responsible for all electronic communications and content sent from your computer or mobile device to DMSG, and you must use the DMSG and TSR Sites for lawful purposes only. You must not upload to, distribute, or publish through any DMSG Site, any content which is libellous, defamatory, obscene, threatening, harassing, pornographic, invasive of privacy or publicity rights, abusive, illegal, malicious, misleading, discriminatory, objectionable, or which may constitute or encourage a criminal offence, violate the rights of any party or give rise to liability or violate any law. If you post, upload or distribute any content through any DMSG Site, you shall also ensure the content is not infringing any intellectual property right, injurious to any third party, and such content does not consist of or contain software viruses, bugs, Trojan horses, worms, bots, malware, malicious codes, political campaigning, commercial solicitation, incitement of violence, hate-speech, chain letters, mass mailings or any form of "spam". You must not upload, distribute or publish commercial content on any DMSG Site nor use any DMSG Site to solicit others to join or become members of any other commercial online service or other organization. Harassment, bullying, intimidation or “trolling” in any manner or form on any DMSG Site, including without limitation via e-mail, commentary, posting and/or chat is strictly forbidden. Impersonation of others, including without limitation any agent/ employee/ host/ representative of DMSG, or any other member or visitor on any DMSG Site is prohibited. DMSG reserves the right but shall not be obliged to edit, remove, retract or re-call any content which is uploaded, distributed or published through any DMSG Site and which is not in compliance with the Terms. Certain portions of DMSG and TSR Sites may allow you to forward material via email to addressees specified by you. By using such facility, you warrant and confirm that you have the consent of the recipient to send such emails. The intellectual property rights in the Content and DMSG Sites are owned, licensed to or controlled by DMSG and/or its licensors. In particular, the name of “TSR”, “Times Square Residences” and the components of the aforesaid are registered trademarks, owned by DMSG. Any reproduction, republication or distribution of any of the Content of the DMSG Sites without the express written consent of DMSG is prohibited. Without prejudice to the generality of the foregoing, no part or parts of any DMSG Site or any Content may be displayed, broadcast, hyperlinked, mirrored, framed, transferred or transmitted in any manner or by any means or stored in an information retrieval system without the prior written permission of DMSG or other copyright owners. Permission will only be granted to you to download, print or use the Content for personal, non-commercial uses, provided that you do not modify the Content and that you retain all copyright and other proprietary notices contained in the Content. The DMSG and TSR Sites may display, contain or make references to trademarks, service marks, trade names, logos, and patents, trade secrets, copyright, technologies, products, processes or other proprietary rights of DMSG and/or other parties. Nothing on the DMSG and TSR Sites should be construed as granting, by implication, estoppel, or otherwise, any license or right to use the name of any DMSG Entity, or any trademarks, service marks, trade names, logos, patents, trade secrets, copyright, technologies, products, processes or other proprietary rights of DMSG and/or other parties, without the prior written permission of DMSG or other applicable owner. DMSG expressly prohibits the use of the name of any DMSG Entity and any other trademark, service marks, trade names or logos owned by DMSG in any manner, without the prior written permission of DMSG. Attention: The Company Secretary DMSG will only process notices in the English language that comply with the Malaysian Copyright Act and these Terms. Any notices that do not comply with the above will be rejected. Upon receipt of a compliant notice of infringement, DMSG may take further steps to look into the matter, depending on the nature of the alleged infringement described in the notice, and these steps may include without limitation the looking into matters described in the Malaysia Copyright Act as applicable to network service providers. THE PRECEDING CHANNEL IS PROVIDED EXCLUSIVELY FOR NOTIFYING DMSG THAT YOUR COPYRIGHTED MATERIAL MAY HAVE BEEN INFRINGED ONLY. ALL OTHER INQUIRIES (SUCH AS PRODUCT OR SERVICE RELATED QUESTIONS AND REQUESTS, OR QUESTIONS ON PRIVACY) WILL NOT RECEIVE A RESPONSE THROUGH THIS PROCESS. The Content is intended for informational purposes only; and does not in any case constitute a legally binding offer. For more detailed information regarding the online reservation services, please check the relevant DMSG Sites. While DMSG makes good faith efforts to verify that the Content is accurate, complete and current, DMSG or its contractual partners make no express or implied warranty or representation (including liability towards third parties) as to its accuracy, reliability or completeness, and expressly disclaims any liability for errors, delays or omissions in the Content or for any action taken in reliance on the Content. DMSG reserves the right to, from time to time and without giving any reason or prior notice, change, upgrade, modify, add to, cancel, suspend or discontinue the provision of or remove, whether in whole or in part, any DMSG Site or Content or any information, functionalities, documents, products, services and other material (including any software and these Terms) available on the DMSG Sites, and shall not be liable if any such change, upgrade, modification, addition, cancellation, suspension or removal prevents you from accessing/using this DMSG Sites or associated information, functionalities, documents, products or services. DMSG Sites contains information on DMSG’s worldwide products and services, not all of which are available in every location. A reference to any DMSG’s product or service on the DMSG Sites does not imply that such a product or service is or will be available in your location. DMSG AND/OR ITS AFFILIATES DOES NOT MAKE ANY WARRANTIES OR REPRESENTATIONS REGARDING THE USE OF THE MATERIALS IN THIS WEBSITE IN TERMS OF THEIR COMPLETENESS, CORRECTNESS, ACCURACY, COMPLETENESS, ADEQUACY, USEFULNESS, TIMELINESS, RELIABILITY OR OTHERWISE. YOUR USE OF THE DMSG and TSR SITES OR RELIANCE ON ANY CONTENT IS AT YOUR OWN RISK. TO THE FULLEST EXTENT PERMISSIBLE PURSUANT TO APPLICABLE LAW, UNDER NO CIRCUMSTANCES SHALL DMSG, ITS CONTRACTUAL PARTNERS, AND/OR ANY OF THEIR RESPECTIVE AFFILIATES, OFFICERS, DIRECTORS, EMPLOYEES, SUBSIDIARIES OR PARENTS BE LIABLE FOR ANY ECONOMIC LOSS, LOSS OF PROFITS, GOODWILL, ANTICIPATED SAVINGS, DIRECT, INDIRECT, SPECIAL, PUNITIVE, INCIDENTAL, EXEMPLARY OR CONSEQUENTIAL, DAMAGES, OR ANY DAMAGES WHATSOEVER, EVEN IF DMSG AND/OR ITS AFFILIATES HAVE BEEN PREVIOUSLY ADVISED OF THE POSSIBILITY OF SUCH DAMAGES, WHETHER IN AN ACTION UNDER CONTRACT, NEGLIGENCE, OR ANY OTHER THEORY OF LAW, ARISING OUT OF OR IN CONNECTION WITH THE USE, INABILITY TO USE, OR PERFORMANCE OF THE INFORMATION, SERVICES, PRODUCTS, CONTENT AND MATERIALS AVAILABLE FROM DMSG SITES. IN PARTICULAR AND WITHOUT PREJUDICE TO THE ABOVE, YOU EXPRESSLY AGREE THAT DMSG, ITS CONTRACTUAL PARTNERS, AND/OR OF THEIR RESPECTIVE AFFILIATES, OFFICERS, DIRECTORS, EMPLOYEES, SUBSIDIARIES OR PARENTS SHALL ALSO NOT BE LIABLE FOR ANY CLAIM, DAMAGE OR LOSS OF ANY KIND OF ANY NATURE WHATSOEVER CAUSED AS A RESULT (DIRECT OR INDIRECT) OF OR OTHERWISE IN CONNECTION WITH THE USE OF THE DMSG and TSR SITES, INCLUDING BUT NOT LIMITED TO ANY CLAIM, DAMAGE OR LOSS SUFFERED AS A RESULT OF OR IN CONNECTION WITH ANY RELIANCE ON ANY CONTENT CONTAINED IN OR AVAILABLE FROM THE DMSG SITES. Access to and use of password protected and/or secure areas of the DMSG Sites are restricted to authorised users only. You may not obtain or attempt to obtain unauthorized access to such parts of the DMSG Sites, or to any other protected information, through any means not intentionally made available by us for your specific use. Where you have been issued with a password, personal or log-on identification number and other code and access procedures (collectively “Security Code”) by DMSG, for use in connection with access to the DMSG Site, you agree to keep the Security Code issued to you confidential. You are to notify DMSG Asia Dynamics Group immediately if you have knowledge that or have reason for suspecting that the confidentiality of the Security Code has been compromised or if there has been any unauthorized use of the Security Code. You agree and acknowledge that any use of or access to the DMSG and TSR Sites and any information or data referable to your Security Code shall be deemed to be (i) use or access of the DMSG Sites by you; or (ii) information or data transmitted or validly issued by you, or both and you agree to be bound by any access or use (whether such access or use are authorised by you or not) referable to your Security Code, and you agree that DMSG shall be entitled (but not obliged) to act upon, rely on or hold you solely responsible and liable in respect thereof as if the same were carried out or transmitted by you. DMSG will not be liable for any damage or loss arising from the disclosure or loss or misuse of Security Code. You shall identify and hold harmless DMSG from any and all claims, costs, damages, expenses (including legal expenses on an indemnity basis), fines, liabilities, proceedings arising due to any such disclosure, loss or misuse of Security Code. This Clause shall survive the termination of any access/use of the DMSG and TSR Sites and/or Content. The DMSG Sites may contain links to other web sites or content on the Internet, which are owned or operated by third parties. Links to such web sites or content are provided for your convenience. DMSG reserves the right to disable any links or frames in the DMSG Sites at any time, and disclaims any responsibility for the content available on any other website reachable by links to or from the DMSG Sites. Such linked web sites or content are not under the control of DMSG is not responsible for the information, products, services or other material obtained on such other web sites and will not be liable for any damages arising from the access to or use of such a web site. The inclusion of these links does not imply an endorsement of the linked sites, the content therein including any linked addresses. You agree that your access to or use of such linked web sites or content is entirely at your own risk. The insertion of a hyperlink to any DMSG Site, on any other website or webpage or “mirror” of the content on any other server is prohibited without express, prior written consent of DMSG. Please take into consideration that the World Wide Web is a publicly accessible system. DMSG does not warrant the security of any information transmitted by you or to you through the DMSG Sites. Each time personal information is made available online this is done at your own risk, and you accept the risk that any information transmitted or received through this DMSG Sites might be lost under way or may be accessible to unauthorised third persons. Transactions over the Internet may be subject to interruption, transmission blackout, delayed transmission due to Internet traffic or incorrect data transmission due to the public nature of the Internet. The DMSG Sites are not configured to collect any identifiable personal information from the visitor while browsing on it. It collects information for general statistical purposes only. Unless you voluntarily provide DMSG with your personal data (for example your first and last name, title, mailing address, e-mail address, telephone and fax number, language, employer, business title, divers preferences regarding accommodation and travel habits or other personal identifying information) it will not be available to DMSG. When you browse the Internet, an Internet Protocal (IP) address is automatically assigned to your computer. When users access DMSG Sites, DMSG’s servers automatically log the user’s current IP address. IP addresses are used to diagnose problems. You fully agree that we are entitled to keep records of your IP addresses. Users of the DMSG Sites may be permitted to post reviews, comments and other content, send communications, and submit suggestions, ideas, comments, questions, or other information, but DMSG reserves the right (but not the obligation) to remove or edit any such content. DMSG does not and cannot review all communication and materials posted or created by users accessing the DMSG and TSR Sites and is not in any manner responsible for the content of these communications and materials. You acknowledge that by providing you with the ability to view and distribute user-generated contents on the DMSG Sites, DMSG is merely acting as a passive conduit for such distribution and is not undertaking any obligation or liability relating to any such contents or activities on the DMSG Sites. Any material, information or other communication (“Communication”) you transmit, upload or post to DMSG Sites will be considered non-confidential and non-proprietary. DMSG will have no obligations with respect thereto. DMSG and its designees will be free to copy, disclose, distribute, incorporate and otherwise use the Communication and all data, images, sounds, text, and other things embodied in such Communication for any and all commercial or non-commercial purposes. perform all further acts necessary to perfect any of the above rights granted by you to DMSG, including the execution of deeds and documents, at the request of DMSG. DMSG shall not be liable for any non-performance, error, interruption or delay in the performance of its obligations or in any DMSG Site’s operation, or for any inaccuracy, unreliability or unsuitability of the Content if this is due, in whole or in part, directly or indirectly to an event or failure which is beyond its reasonable control (which includes without limitation acts of God, natural disasters, acts of any government or authority, power failures, and the acts or a party for whom DMSG is not responsible for). any content or materials provided by you. This Clause shall survive the termination of any access/use of the DMSG Sites and/or Content. remove or reclaim any registration by any particular person to access and/or use password protected and/or secure areas of DMSG, Without ascribing any reason and without giving any notice. if in DMSG’s unfettered sole opinion or the opinion of any regulatory authority, it is not suitable to continue providing the services relating to the DMSG Sites. Such termination of access/use shall be without notice and DMSG shall not be obligated to ascribe any reason to you. There may be persons unknown have represented themselves to be officers or employees of DMSG, and there may be websites purporting to be the official websites of DMSG. The public is advised to take notice that these persons, representations and websites are unauthorised and bear no association with DMSG. The public is advised to be vigilant and exercise all necessary caution and circumspection when approached by anyone purporting to be an officer, employee or representative of DMSG. If you have been approached by such individuals, please seek verification and independent consultation before proceeding further. In addition to the above, the public is also advised to verify the authenticity of websites purported to be official websites of DMSG prior to accessing and using them. DMSG disclaims any and all responsibility for any form of loss or damages occasioned directly or indirectly by any form of reliance on the fraudulent representations. Please note that DMSG shall not be responsible for any information relating to DMSG, its product or services which is made available on websites or materials belonging to third parties. In the event DMSG’s product or service is listed at an incorrect price due to typographical error, system error or error in pricing information, DMSG shall have the right to refuse or cancel any orders placed for product or service listed at the incorrect price. DMSG shall have the right to refuse or cancel any such order whether or not the order has been confirmed and/or your credit card has been charged. If your credit card was charged for the purchase and your order is cancelled, DMSG shall issue a credit to your credit card account for the amount paid by you. Should there be any inconsistency or conflict in pricing on the DMSG Sites or a possible error in pricing (which may arise for any reason whatsoever and could be reasonably inferred), please contact us for clarification. The currency converter is a linked content, and DMSG does not warrant, represent or guarantee the accuracy of any conversion made using the currency converter. DMSG shall not be held liable for any use of the currency converter, or any content generated or related to the currency converter or XE.com. The inclusion of this currency converter on the DMSG Sites does not imply an endorsement of the XE.com or its products. You agree that your access to or use of the currency converter is entirely at your own risk. The currency converter is included in DMSG Sites only for your convenience, reference and personal non-commercial use. Any conversion made using this currency converter is an estimate only, and does not serve as a confirmation of the final amount to be paid for any transaction entered into between us. Please note that room rates of any hotel owned and/or managed by DMSG are quoted in the local currency of that hotel and subject to such terms and conditions of booking, and any conversion made to any other currency should be used as a guideline only. The final bill payable is dependent inter alia on the exchange rate on the day of payment which is quoted by applicable banks or payment systems involved in the payment process, or any other exchange rates used by that relevant hotel (at its sole discretion) on the day of payment. you shall submit to the non-exclusive jurisdiction of the Malaysia Courts. The U.N. Convention on Contracts for the International Sale of Goods shall also not apply to the access to and/or use of the DMSG Sites and/or Content (including without limitation any transactions made through the DMSG Sites). Times Square Residences uses third party vendors such as Google Analytics and Remarketing codes to allow us to see information on user website activity including, but not limited to page views, referral and average time spent on the website. The information is de-personalized and is displayed as numbers, meaning it will not be tracked back to individuals, which helps to protect your privacy. Using Google Analytics we can see what content is popular on our website, and strive to ensure you have the best user experience possible.